Effective Monday, August 13th, 2018, Electrolux & Frigidaire will change their policies and procedures for scheduling warranty repair calls and coverages to their warranty. We would like to clarify the procedural changes that may affect how you do business with Lake Appliance Repair (or any other Frigidaire Factory Authorized Service Center). Please read this article carefully to avoid unwanted repair charges. Effective Monday, August 13th, 2018, all Frigidaire and Electrolux warranty repair calls must be scheduled by calling the manufacturer directly. 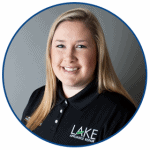 This may change your overall service experience, but rest assured that all appointments dispatched to Lake Appliance Repair will be handled in the fastest, most efficient way possible within our control. You are still our #1 priority. For the most convenient service, we recommend having the appliance model & serial number as well as your proof of purchase ready before calling. The Cosmetic Warranty & Customer Instruction Warranty period for Electrolux & Frigidaire appliances is moving down from 60 days and 365 days, respectively, to 30 days. We urge customers with new appliances to test all features on the new appliance within 5 days of installation. If you notice anything that needs repair or further support, request service immediately. This includes cracked drawers & knobs, burnt out light bulbs, loose handles, and scratches. As Electrolux and Frigidaire work to improve their processes, we are seeing a much stricter approval process for warranty repair claims. In light of these changes, we are urging all Lake Appliance Repair Customers and Vendors to review the warranty section of their Use & Care or Owners Manuals prior to requesting service. Your Care and Use Manual details the length and limitation of your Limited Manufacturer Warranty. Pay special attention to the Exclusions section, which explains what will not be covered by the warranty. Upon scheduling any Frigidaire or Electrolux appointments, Lake Appliance Repair staff will disclose the following disclaimer: If the manufacturer denies or rejects your warranty claim for any reason, Lake Appliance Repair will charge the customer a $100 trip charge for a diagnosis and provide an estimate to repair the non covered appointment. If you are uncertain whether your repair will be covered by the warranty, please contact our office for clarification before scheduling service. Get a copy of your Proof of Purchase (required for appliances with a manufacture date older than 12 months). Call the Electrolux or Frigidaire Customer Support Line to request service. Be sure to clarify any questions or concerns about warranty coverage with our CSR BEFORE we send out our service technician.